I will be honest. I never fancied cooking in my life before. But here I am having to cook stuff for myself. Life does teach your to be flexible and it's often best to take the lessons pretty seriously. So anyway, here's a picture of the dish I cooked up for myself. 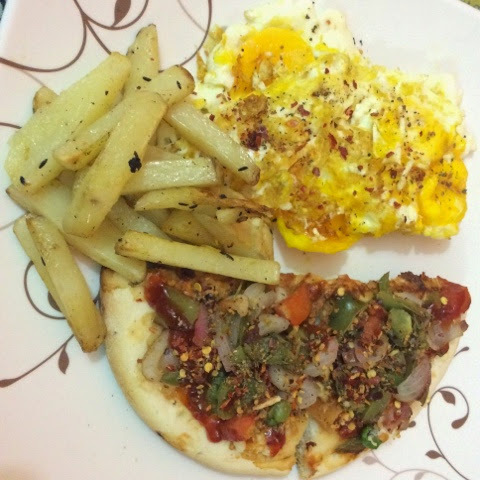 It's half a pizza with fried eggs and potato fries. It may not look all that great but it's pretty much the first time I tried making a pizza at home. I will post some other stuff on cooking soon.